If your mission requires you to move long distances in austere conditions with a heavy sniper systems and still be ready to engage a threat when you arrive at your target, from any position, then the Viking Tactics Sniper Sling is up to the task. 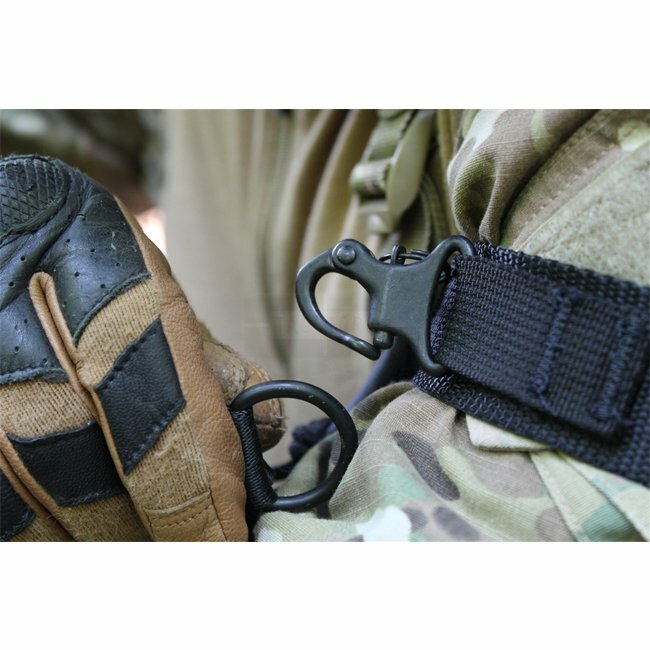 The Viking Tactics Sniper Sling is designed to give you all the advantages of the VTAC Sling with the additional benefit of a quick detach cuff. 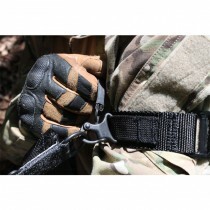 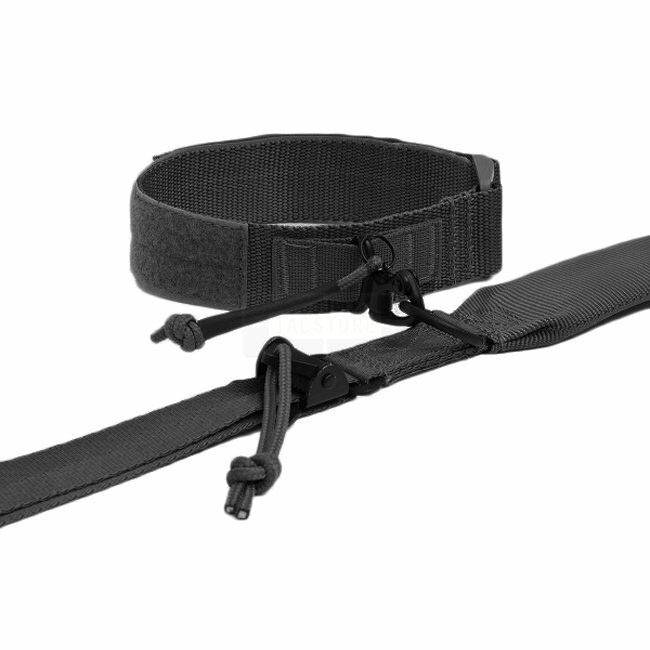 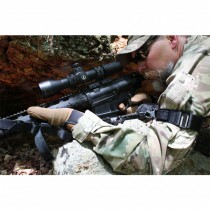 The quick adjust portion of the sling gives a sniper the ability to wear the cuff, snap in and adjust the sling quickly to the necessary length. The cuff comes equipped with a small snap shackle. 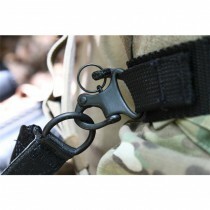 This buckle will allow you to attach or detach quickly in any situation. 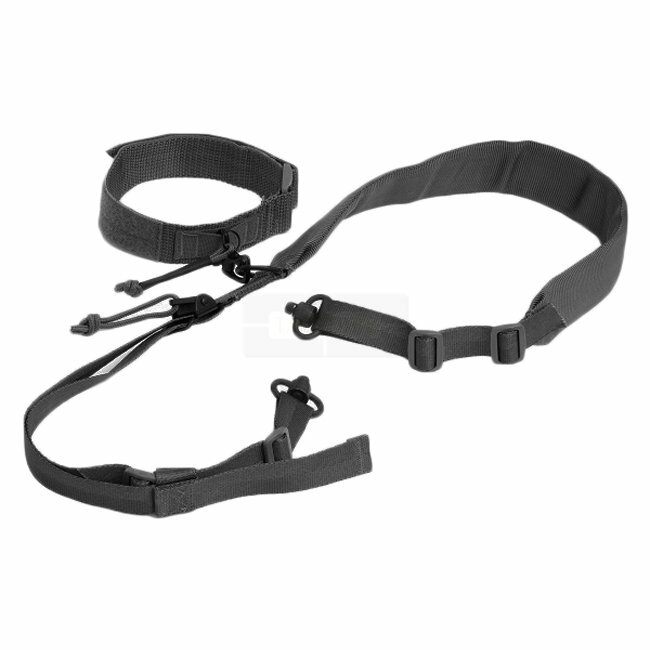 The VTAC-MK2-WC sling is a modified VTAC MK2 sling that includes an arm cuff as well as two HDQD swivels.